I know I’m anthropomorphosising, but please tell me you see this bumblebee’s grumpy little face… long nose, protuberant jaw, etc. 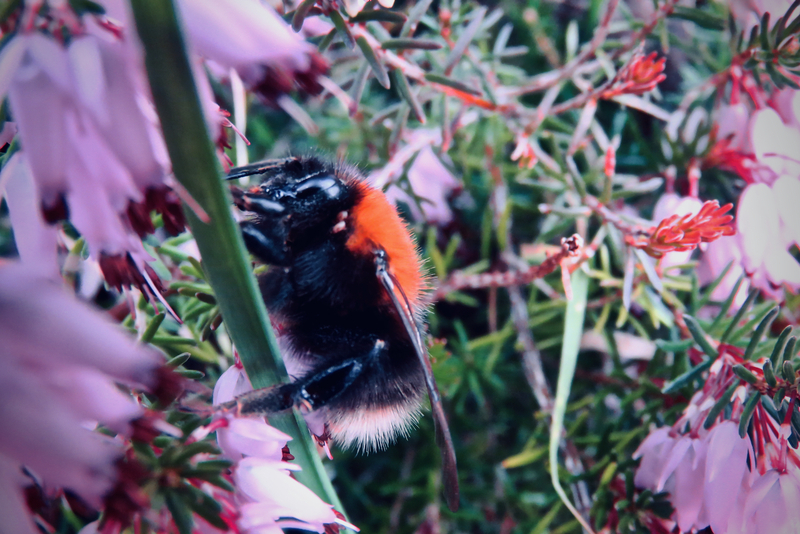 It’s like, “I know it was a nice sunny day today, but bloody hell is it early in the year to get up.” However… respect the pollinators, that’s what we have to do…. 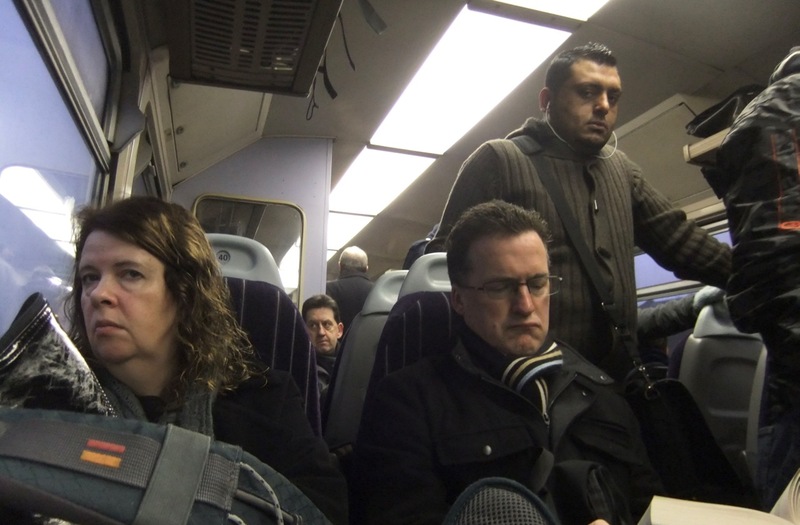 After two blissful days working at home, welcome back to sodding Northern Rail’s dreadful recent performance on the Calderdale line. Just to put this in perspective, over the last two weeks I have lost a total of 7 hours of my life to delays — that’s a whole working day. This is how it feels. Well, here we all are on the early morning cattle truck, pulling into a freezing cold, damp station (voted one of the 10 worst in the country a couple of years ago), and probably all off, like I was, to do something that our employer has decided is terribly important but almost certainly isn’t. No wonder everyone’s face was like this. Damn sure mine was.